James Avery, who founded the jewelry chain that bears his name which now numbers 80 stores, died April 30 at age 96. Avery was born in 1921. He served in the U.S. Air Force during World War II, commanding a B-26 bomber and running 44 missions over Germany. After the war, he attended the University of Illinois and received a BFA in industrial design, eventually becoming a college instructor. While at the University of Colorado, he started teaching jewelry-making with his students. Around this time, he divorced his first wife, and after years as an agnostic, embraced the Christian faith. 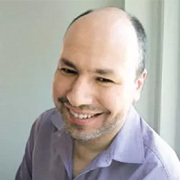 According to an interview he did with the University of North Texas Libraries, he sold his first piece, a cross, to an Episcopal bookstore in New York City. It was then he decided to devote himself to the jewelry business. In the summer of 1954, Avery launched his jewelry business in a non-air-conditioned two-car garage in Kerrville, Texas, with only $250 in capital, a small work bench, and some scraps of silver and copper. He wanted to create jewelry that had meaning for both him and his customers. In 1957, he mailed his first catalog and hired his first employee, Fred Garcia, who worked for the company for the next 20 years. He once said a key element of his success was that he kept things simple. 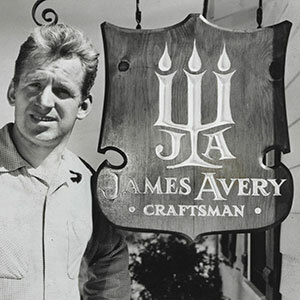 In 1965, the company was incorporated to James Avery Craftsman and established a headquarters two years later with help from the Small Business Administration. In 1973, the company opened its first store. Avery was proud that his company stayed family owned, and at one point turned down a buyout offer from Berkshire Hathaway. 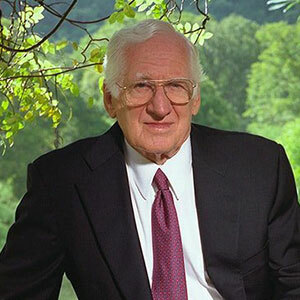 Avery retired as CEO in 2007 and turned over the business to sons Chris and Paul, though he stayed active as chairman emeritus. James Avery Artisan Jewelry now has 80 stores in five states, and its products are also sold through Dillard’s. In lieu of sending flowers or other gifts, the company requests people give money to the charity of their choice.